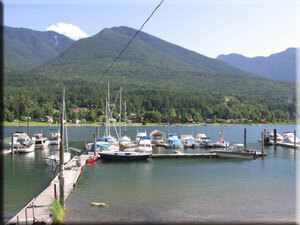 Low and high water fluctuations are high in Kootenay Lake and Cedars Marina is one of the few marinas in the area that can maintain depth integrity year-round. For the fishermen there is a fish-cleaning station with running water during the summer months and electricity is available to some slips. Annual, monthly, weekly and daily rates are available year-round. 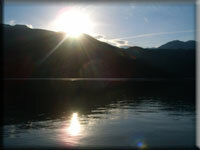 After disembarking from the marina you are minutes from beautiful Kootenay Lake to the east. 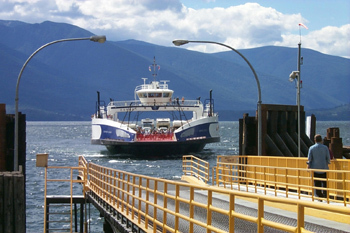 Kootenay Lake ferry terminal is within eye site of the docks. 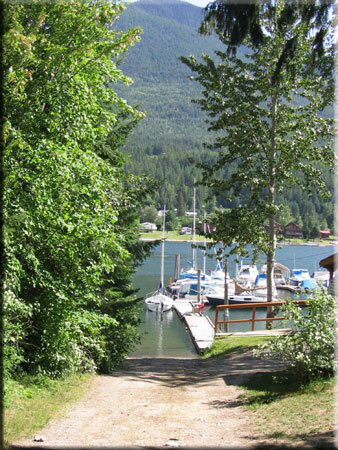 Running north-south, Kootenay Lake is 144km (90 miles) long, up to 152m (500') deep with an average of 4km (2.5miles) across, though it measures 8km (5 miles) at its widest point. 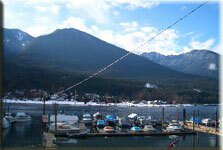 To the west you can follow the West Arm 30 km down to Nelson, the charming and eclectic Queen City of the Kootenays. The West Arm eventually joins the Columbia River around Castlegar and maintains its route to the Pacific Ocean in Portland, Oregon.